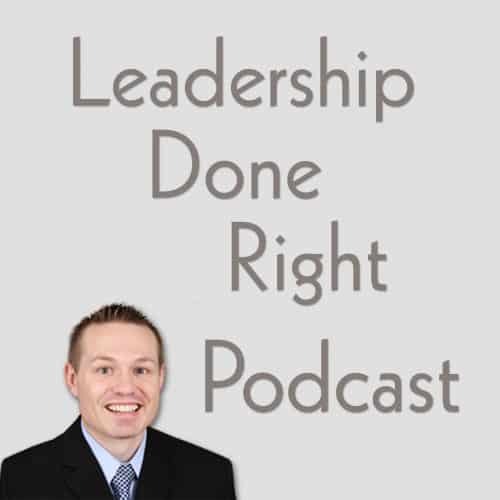 Hello, and welcome to the Leadership Done Right Podcast, Episode 75: Create a Leadership Development Environment with Jacob Baadsgaard. Hi friends! We have a special guest today. 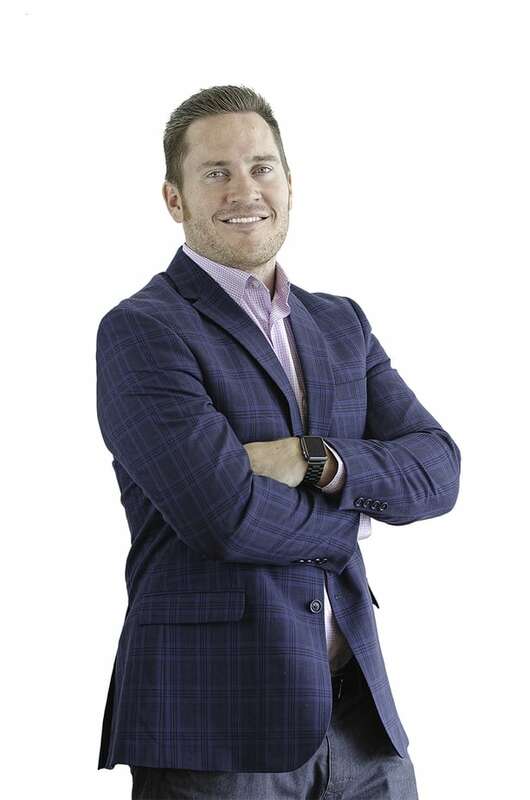 Our guest founded Disruptive Advertising in 2012 and has grown the company to over 120 employees and 17 million dollars in annual revenue in only 3.5 years. Disruptive Advertising helps businesses advertise profitably on Google and Facebook. While most business leaders focus on personal financial gain, our guest reinvests a fair amount of his profits back into his employees and the community. He also develops employees with no experience into leadership roles within his company that earn six figure salaries. He is a regular contributor on sites like Forbes, Entrepreneur, MarketingLand, Unbounce, KissMetrics as well as others. Our guest today is Jacob Baadsgaard. Jacob, welcome to the show! While in the corporate world, Jacob realized that regardless of how much effort he gave his employer, he would not be compensated accordingly. He could put forth effort X and get paid X or he could put forth effort 10X and get paid X.1. There was a disconnect. His desire was to bridge that gap so there was more alignment. Jacob also had a desire to lead and help others. He thrives on helping people work hard and then be compensated for their hard work. He decided to start his own business to help others and himself do just that. He attributes his success and the success of his organization to their ability to create an environment where people have a lot more influence and control of their direction and progression. In the typical environment, employees get paid a fixed amount and only sales people get commissions or other incentive pay. Jacob created an environment where everyone gets paid based on their contribution and how it leads to results in the bottom line. Setting up a system like that is not easy. Jacob and his team went through a painstakingly slow process to carefully define every role and what the expected contribution is within that role. When individuals outperform their expectations, they get a piece of that action. Within that environment, people can choose to work hard and outperform the expectations or go at their pace. Overall, this approach has worked very well for him and his team and has led to very rapid growth. When Jacob thinks about the progression he’s gone through to become a successful leader, he first thinks of his mistakes. There’s a handful of things he did wrong, but there’s also a handful of things he feels they’ve done right. It’s important to not be afraid of failure. Fail quickly, learn quickly, and then progress quickly so you don’t make the same mistakes over. This has been hard at times, but he’s found people he can work with to balance that out. His progression as a leader followed a unique path. He started the business because he felt he could make a difference because of his skills. He created a product. He wanted to grow thought so he expanded by hiring people to make more. Inevitably he needed to train and oversee those people so they were doing it right. With time, those people got better at what they did and they needed to grow more as a company. So, they hired more people and had the experienced people train them. He then needed to lead those who were training others. As they continued to grow, his role changed to one of leading others so they could be successful and help the company continue to grow. As a leader, Jacob went through a progression as his business and experience grew. He explains that progression as follows. Amplify his ability to directly contribute to the revenue of the company. This occurred from 1-15 people. How do “I” shift those responsibilities onto others? Shift the responsibilities onto capable trained individuals that can take care of the customer. As the entrepreneur and top leader, he continued to shoulder the bulk of the personnel management responsibilities. Move past founder-based selling. This involved developing people to take over the sales. He developed a sales leader to oversee sales. Rather than just train and let him do it, he worked side-by-side with the new leader for about a year to train him. In this stage the focus shifted even more from doing to coaching and guiding others so they could successfully do. This is the 60-80 person role. Self reflection and further team and leadership development. During this stage, Jacob realized several areas where he was not strong that he could shift resources to others. He brought in people with strong leadership and operational experience to further grow and develop the organization. Jacob became an emotional leader where he set the direction and tone of the organization. Now I want to dig into how you help others to become great leaders on your team. But, before we get to that, do you want to become a better leader? If you do, I can help you take your leadership to the next level! Jacob explained that they expect everyone within the organization to be a leader. Not necessarily in the aspect of directly leading others, but they need to stand up and be a leader in their actions and contribution. To progress into leadership roles, they clearly defined what you need to do in each role. They give people a criteria they must follow of checking boxes on things they have done. The positional leaders then guide and direct them so they meet the requirements of leadership if they want to. In this system and environment, people are far more driven to progress and be successful because they know they will reap the benefits of their efforts. They typically start people low on the salary scaled, but within 1-2 years those same individuals are outpacing their classmates in earnings. There are times when people don’t progress as fast as you would like. The best way to overcome that is through radical candor. Say exactly what you are feeling. That approach is most effective when you sincerely care about the individual and their personal success. How Can I Progress in My Leadership if My Organization Doesn’t Have a Strong Structure? People often overvalue their contribution without backing it up with numbers. They feel that, “I have been here for a year, therefore I deserve to be a leader.” First take the time to understand the objective of performance and how that impacts the business. Take the time to really understand that because if you don’t, it is just a posturing and jockeying for position kind of play. When you don’t know your contribution and the structure, it is hard to give or receive raises. Take the time to really understand how your performance impacts the performance of the organization. Ask the question, “Was I effective and did I drive the most value?” Hard work doesn’t matter if others are working harder or better than you. It is very important when the hard work leads to direct tangible results that surpass the competition. Stay focused on adding value to the organization. That value creation begins to result in real leadership opportunities. Everyone feels great at that point because everyone is excited to talk about growth and progress. When you take that approach, you can kind of force the hand a little bit because you have backing to say what you are doing and the value it is adding. Where can you connect with Jacob? Well, friends, I hope you learned as much from that interview as I did! That was a great interview with Jacob Baadsgaard! Thank you for listening to this episode of the Leadership Done Right podcast. You can check out the show notes at LeadershipDoneRight.com/PodcastEpisode75/.